Ford says that it cannot accept "reduced performance" from its 2019 NASCAR Cup Series Mustang after Toyota and Chevrolet experienced slow starts with new cars in the last two years. Chevrolet made the perfect start with its new Camaro by winning the season-opening Daytona 500 but has taken victory just once since, while the Ford Fusion, the oldest car on the grid, has often been the benchmark in 2018. Toyota has taken 11 wins to Ford's nine in the 22 races so far this season, but it was accused of "playing possum" in 2017 after it struggled in the fast half of its debut season before Martin Truex Jr and Kyle Busch fought for the title. Mark Rushbrook, Ford Performance's global director, told Motorsport.com that Ford is targeting an early victory for the Mustang. "We certainly saw what happened with Toyota, especially last year, when they didn’t start out so well," he said. "But they came on really strong and certainly by the middle of their season and end of the season they had a really good understanding of their car and were very competitive on track. "We’re honestly looking at the new Chevrolet and wondering what any [early] issues there might be as they get up to speed with that new car. "Something that is important for us is [that] we want to go win the Daytona 500 next year with the new car or Atlanta the week after, we don’t want to wait for the competitiveness to come later in the season. "That is important for us that as we finalize the car, and get through the submission with NASCAR in June. "Not only do we spend the second half of 2018 trying to win a championship with our Fusion with one of our teams, but we’re also preparing in parallel for the new Mustang to hit the track and be as competitive as it can in the early 2019 season. "We don’t want to accept reduced performance for the first part of 2019, we want to be winning right up out of the gates." 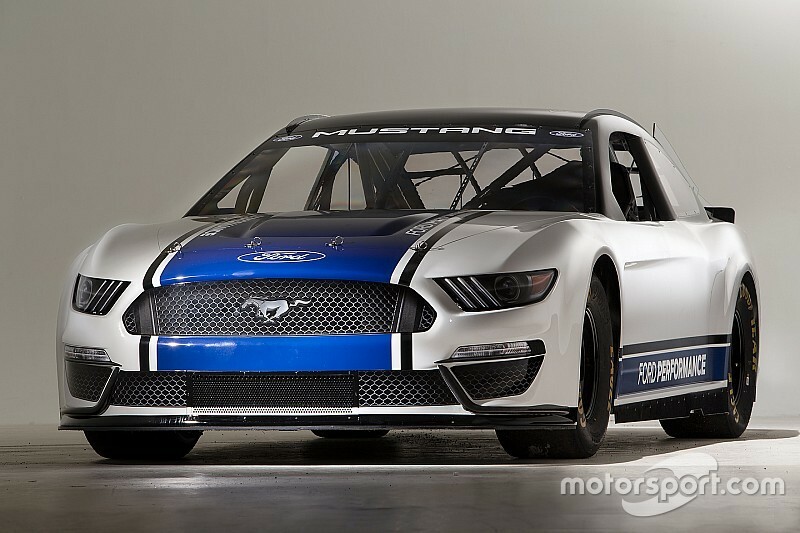 Rushbrook added that the more stringent new-for-2018 inspection system has helped the development of the Mustang, but it is aware that the new aero package NASCAR is evaluating could force a revision. "Well it [the inspection system] certainly helps, although there’s still some opportunity for rules to be different for 2019," he said. "There is some potential for rules to be changed around that [the All-Star aero package] and, also, as they learn more about the Hawkeye there may be some changes made there as well. "So although there is some stability it’s not necessarily 100% stable so we expect there may be some changes that we need to adjust to as well just like Toyota and Chevy will."